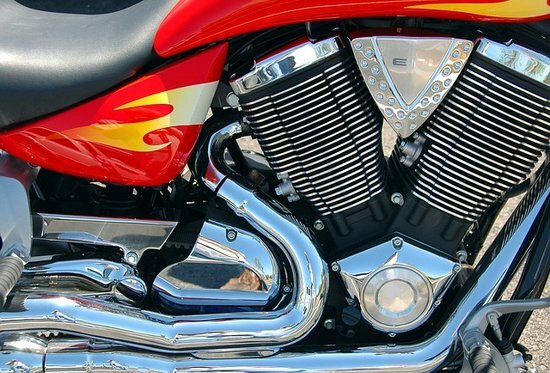 How long motorcycle engines last? What kills all engines is the number of cold starts and how hard the engine is used before it’s oil is warm. This is why very high mileage engines tend to have been used for long journeys rather than many short journeys. This is the reason why it is said that 90% of all engine wear happens in the first couple of miles. Today, with modern multigrades it is more like 75% of all engine wear but that doesn’t mean oils are now worse at protection once hot. it means that the cold wear percentage has dropped. Wear occurs when cold oil has not yet got hot enough to flow around the engine as fast as the engine designer intended. The combustion chambers instantaneously reach ferociously high temps and that heat is slowly leached away by the metal parts around them but a lot of that heat is carried away by the oil flowing past those hot spots. if oil is overheated it stops lubricating. Cold oil flows slowly, spends more time at the hottest parts, cooks, and then stops lubricating so you get metal to metal wear. The more ‘effort’ the engine is asked to make when cold, the hotter it gets. If an engine is asked to give 100 percent of its power from cold, it will overpower its oil almost instantly and its lifespan will be very short. If a 125cc engine is asked to provide its maximum of 10 bhp to do say 70 mph, it will be at maximum output, and producing as much heat as it can get rid of. that engine will wear very fast. If a 500cc engine capable of 40 bhp is asked to go 70 mph, it will still only need 10 bhp to stay at 70mph so it will obly be using 1/4 of its output, Because it is designed to get rid of forty bhp’s worth of heat, four times as much heat as the 125, its design can easily shift that 10bhp’s worth so it does not get as hot, and its oil does not fail as much. Modern synthetic multigrade oils are vastly better at flowing when cold and cope far better at high temps too so the hard used cold engine lasts much longer these days. An engine’s life can be measured in the number of cold starts it does. If a small engine with old fashioned 10w-40 mineral oil starts from cold twice a day and goes 5 miles each time at more or less full speed. It might last 10,000 miles. If that same engine with quality 0w-40 synthetic oil starts from cold twice a day and goes 10 miles each time at more or less full speed. It will last at least 50,000+ miles ( actually I don’t know because I HAVE that small engine and it is doing 12 mile a day commutes on 0w-40 Mobil 1 at full speed and runs as perfectly with zero oil consumption now at 40,000 miles as it did when new. In 1981 I was a motorcycle courier. We used to AVERAGE 2000 miles A WEEK and a lot of those miles were at 90–100 mph. One of my guys bought a brand new suzuki GS1000 shaft drive. After a year it had done 100,000 miles. He took the cam covers off and measured the cam chain ‘stretch’. It was still within spec for a new chain….The engine sounded and went exactly like a brand new one. … in other words there was NO measurable wear on the engine at all. That bike had, in effect only done about 250 cold starts in that year and being a big engine, was not working hard for the first few miles anyway. I saw several Honda CX500’s used as courier bikes all their lives in London each with over 300,000 miles on original pistons rings and cylinders (i.e. not rebored) in the following years. they looked horrible, but ran perfectly…. Once the oil is hot, there is virtually no wear…….None….